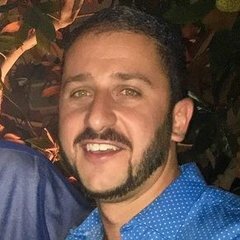 AustralianCruisingNews had the most liked content! 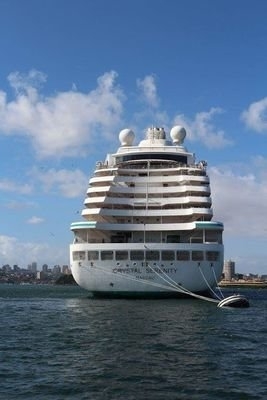 AustralianCruisingNews posted a topic in Let's Talk Cruise! Starting on the 27th Of October 2019. Explorer Dream will conduct a series of 21 seven-night cruises in Australia and New Zealand homeporting in Sydney and Auckland and visiting the Great Barrier Reef, Melbourne, Brisbane, Eden and Tasmania. 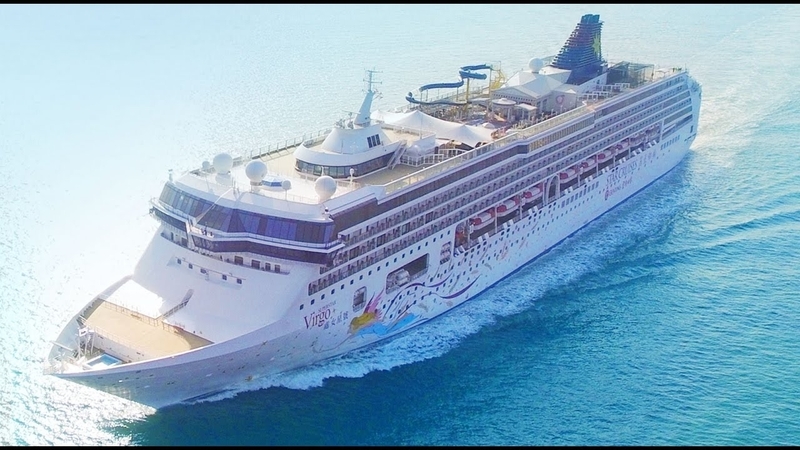 The new itineraries are below: “Queensland and the Barrier Reef Cruises”, 6 one-week cruises starting 27 October 2019, calling at: Mooloolaba/Sunshine Coast: Famous for its perfect climate, beautiful golden beaches and crystal clear water. Brisbane: The capital of Queensland and north of the world-famous Gold Coas. Newcastle: Gateway to the Hunter Valley wine region Gladstone: A quaint little village for those who love heritage, history and funky finds. 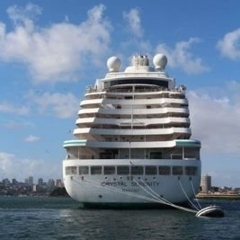 “Tasmania Island and Melbourne Cruises”, 8 one-week cruises starting 9 February 2020, calling at: Port Arthur: A World Heritage city with the first settlements in Australia, Hobart: Capital of the State of Tasmania and one of the most charming cities in the world Burnie: Gateway port to North Tasmania, famous for its lavender fields and wine country. Melbourne: Capital of the State of Victoria and consistently voted as one of the world’s most livable cities. Phillip Island: Famed for its penguin population, the island is also popular for surfers and motoring enthusiasts. Eden: On the sparkling Sapphire Coast, Eden is one of the best whale-watching spots in Australia. “North and South New Zealand Cruises”, 7 one-week cruises starting 15 December 2019, calling at: Wellington: Capital of New Zealand and famous as the background of the “Lord of the Ring” and “Hobbit Trilogy” films Milford Sound/ Doubtful Sound: Fiordland is one of the southern hemisphere’s great wilderness regions and has achieved World Heritage Status for its stunning natural features. Dunedin: Designated as a UNESCO City of Literature and the center of learning in New Zealand with the largest university in the country Napier: Beautifully preserved 1930s architecture is Napier's special point of difference Bay of Islands: A group of 144 islands, famous for its stunning beauty and history, featuring an abundance of wildlife including penguins, dolphins, marlins, whales, gannets and more. Akaroa: Famous as the only French settlement in New Zealand. Picton: The heart of the Marlborough Sounds, this picturesque port town is home to great cafés, restaurants and galleries Gisborne: the unofficial ‘Chardonnay Capital of New Zealand Information supplied by: Dream Cruises And www.australiancruisingnews.com.au The HOME Of Australian Cruising! As many Australian’s are aware Australia is in the middle of one of the worst droughts we have ever seen, channel nine’s today show and also channel sevens sunrise have even got right behind our farmers with raising much needed funds for those in need. Not only is there the financial toll that many of our struggling farmers feel up against it but there is also the emotional and physical toll that along with that as well. That’s why rural aid has started a drought appeal called: Rural Aid's Buy-A-Bale drought appeal campaign. Below is some information about the Buy A Bale Campaign and Support of Rural Australia: Rural Aid's Buy-A-Bale drought appeal campaign is providing meaningful support for farmers by delivering hay and other essential items to farmers who have no feed left for their cattle or sheep. 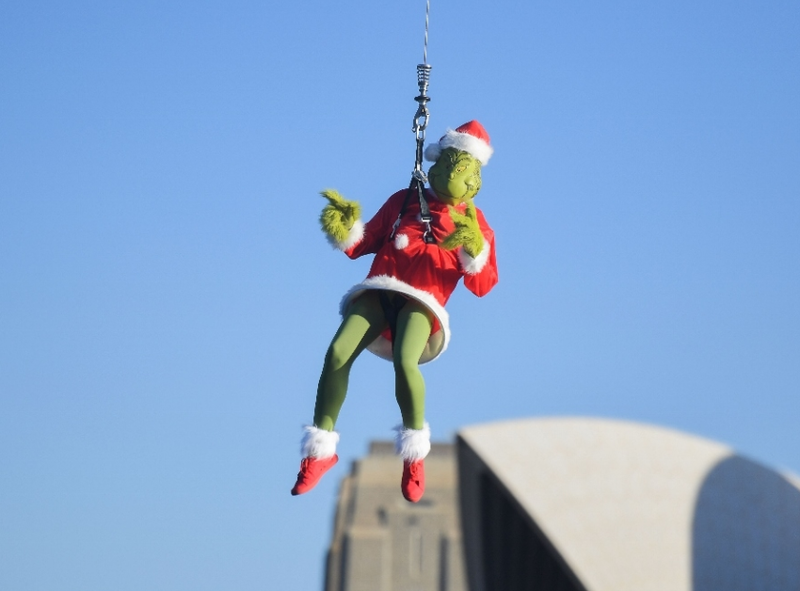 All donations to the drought assistance campaign have a fourfold effect. Some hay is donated, some we buy, so we’re feeding a hay farmer and their family. Some of our truckies are donating their time and diesel, some loads we’re paying for, so we’re feeding truckies and their families. In the end we deliver relief to our farmers at no cost to them. Australians, donating to Buy a Bale is helping not just farmers but their communities and so many more people. So thank you on behalf of our farmers for your support. 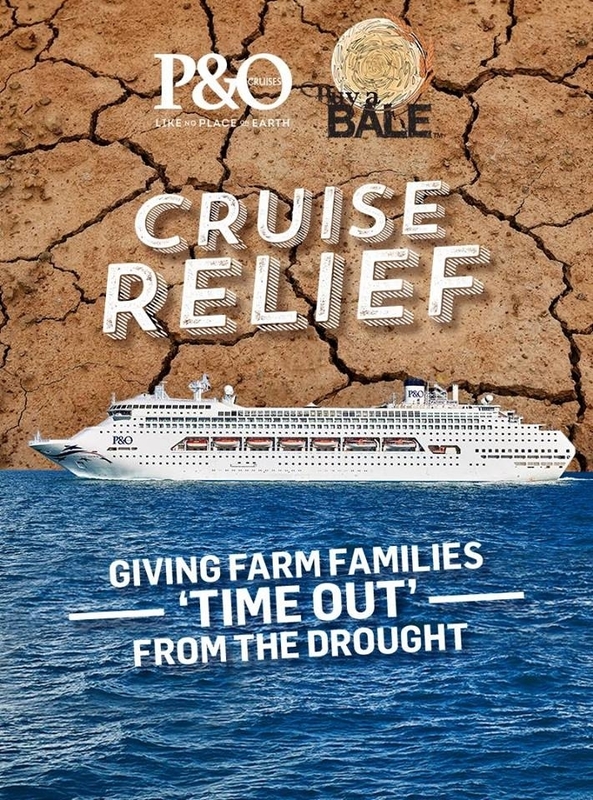 Not only is there the Rural Aid and its Buy-A-Bale campaign, there is also P&O Cruises Australia who have decided to help out and jump in and Work in conjunction with the charity. P&O Cruises Australia has set aside 85 cabins across two separate four-night cruises to give hard-pressed farmers and their families a break from the crippling drought in New South Wales and Queensland. The cruises — one from Sydney to Moreton Island and the other from Brisbane to the Whitsundays — are being offered in the face of the disastrous drought that has resulted in 100 per cent of New South Wales’ land area and nearly 60 per cent of Queensland’s land area being drought declared, with large sections described as being subject to ‘intense drought’ conditions. President P&O Cruises Australia Sture Myrmell spoke of the powerful impact of the drought on rural families and of Rural Aid's inspiring efforts to coordinate and deliver relief to people on the land including massive road convoys of trucks carrying badly needed feed to stricken livestock. “We know from Rural Aid that the physical and emotional toll of such a severe and prolonged drought on rural communities is enormous and that many farmers have not had a break in years,” Mr Myrmell said. “As much as everyone across Australia would like to, we cannot make it rain to break the drought but we can do what we can to give some farmers a welcome respite from the burden in the best way we know how by making cruise opportunities available. “We are very proud to be working in partnership with such a widely respected organisation as Rural Aid and its Buy-A-Bale campaign to make this happen.” Rural Aid is working with P&O Cruises to nominate farmers in New South Wales and Queensland who will sail on the cruises on Pacific Explorer and Pacific Dawn from Sydney and Brisbane on December 4 and December 10 respectively. CEO Rural Aid Charles Alder said, “Whilst we're moving thousands of tonnes of hay for our farmers through our Buy A Bale program, this offer from P&O Cruises will equally bring mental relief to our farmers stressing about their animals but also their own situation. 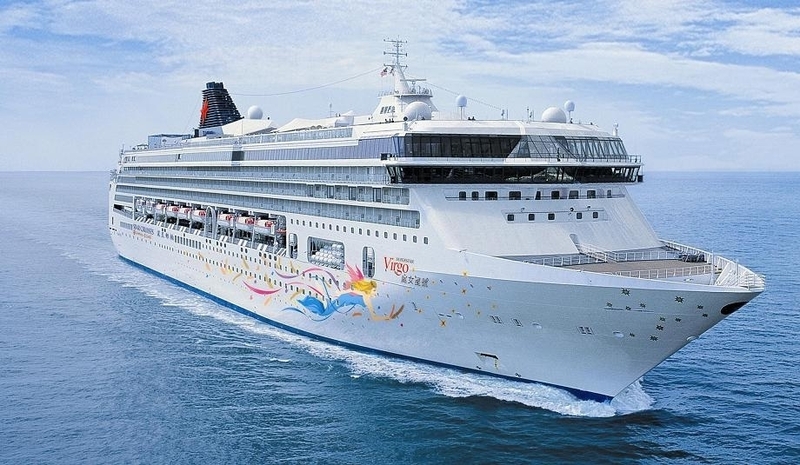 “These cruises will provide a great opportunity to break out and relax. We've put the call out to our volunteer base with farm-sitting experience to help allow these farmers to get away and know their farms are in good hands.” Information supplied by: P&O Cruises Australia And www.australiancruisingnews.com.au The HOME Of Australian Cruising! 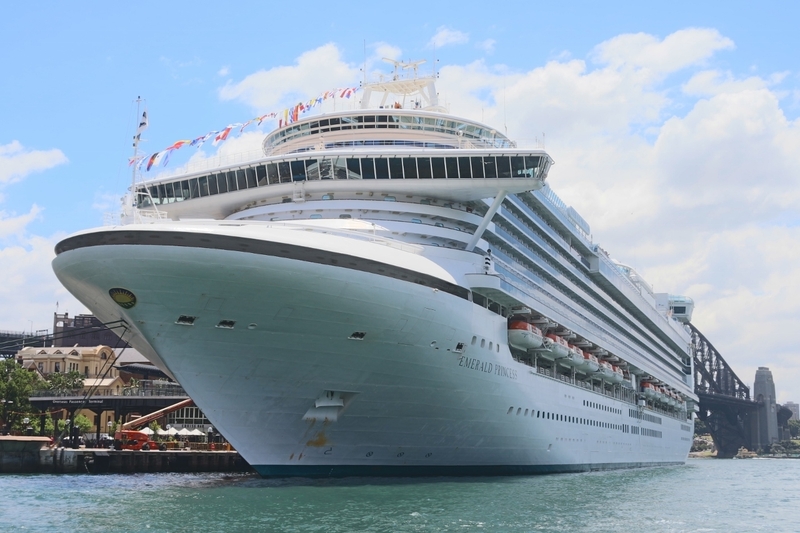 Do You Want To See What It’s Like On Australia’s Largest Cruise Ship?? Well Here Is A Sneak Peek Into Ovation Of The Seas! 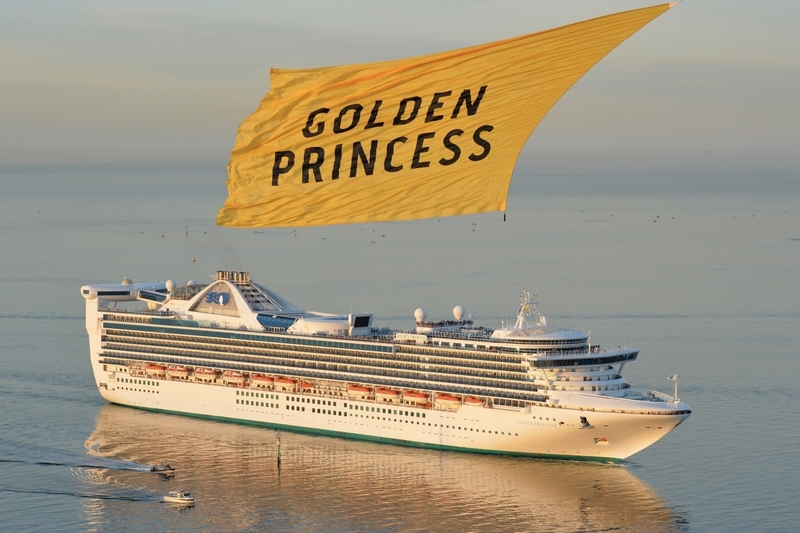 Do You Want To See Australia’s Largest Cruise Ship From The River To The Sea?